While many remember Donald Trump’s Super Tuesday victory speech for Chris Christie’s vacant expression standing alongside the GOP frontrunner on stage, the big story for me was the sign on the podium. It contained the candidate’s name, as they all do, but with the notable addition of instructions for joining the campaign via text message. If you look carefully, you’ll notice this addition is on all of the 2016 candidates’ signs. The 2016 election will be remembered for many things and foremost among them is the emergence of text message marketing. Text messaging has become an essential tool in running a political campaign and every candidate now uses SMS/MMS to get the word out about upcoming appearances, stump positions, news blurbs and donation pleas. To study the current political winds on text message marketing, I signed up to receive texts from the Bernie, Cruz, Hillary, and Trump campaigns. Immediately I received texts to opt-in from everyone. In the case of Trump, asking for my zip code, and the note, “Your subscription will help Make America Great Again!” In the case of Hillary, a zip code was not requested: “We’ll send you updates on upcoming events and ways you can be involved.” We’re still waiting for a text to appear from Trump (My location in Boston may be a factor.) Interestingly, Hillary did not follow up with alerts on ‘upcoming events’. Ways to get ‘involved’ so far translates to “donate $75” to my candidacy. The reason for text message popularity in political campaigns should be clear to anyone who has used the technology. Text-based messages cut through the media noise faster than any other channel. It is the method we regularly turn to when a message is urgent and needs a fast reply. Consider for a moment the media bombardment we are subjected to on a daily basis. Most of us now live in a state filled with phone calls, emails, Twitter and Facebook alerts, TV broadcasts, and more. By necessity, we’ve learned to screen out a lot of the extraneous noise. Caller ID has taught us to ignore calls from numbers we don’t recognize. We have filters on our email, but our inboxes are still overflowing with unread messages. Years of exposure have taught us to tune out or walk away from TV shows during the advertisements. But nothing cuts through this din faster or more effectively than a text alert. We hear or feel that message instantly, wherever we are with our phone. Brain scientists claim that a text can cause a blip in dopamine levels. Text message marketing is compelling. If you text someone a message, it better be important because you are going to get their attention in a hurry. Surprisingly, despite texting technology being around for a relatively long time, political campaigning via text message is a relatively new development. Not only are texts used to send alerts, but the candidates also send URLs to their donation page. At this stage in the race, every text sent from the hopefuls cares less about sharing noteworthy news than it does about requesting more money. One reason is that voters were once reluctant to give out their cellphone numbers — reserving their disclosure solely to family members and close friends. In 2009 the winning candidate for the Governor of Virginia couldn’t get voters to part with theirs even in exchange for free Redskins tickets. People have since loosened up, but another hurdle remained for political operatives and marketers — awaiting FEC (Federal Elections Commission) rules to officially permit text-based solicitations for political contributions. Passed in June of 2012, the law permitted political fundraising via text message marketing in small amounts, capped at $50 per mobile phone billing period or $200 total per mobile phone. Barack Obama’s tech savvy staff was the first to seize the opportunity with Mitt Romney’s team quickly following suit. Given only five months from passage of the law to Election Day, the technology was still in its infancy but has since hit its stride in the run up to the current 2016 campaign. Ted Cruz was one of the first of this year’s GOP candidates to use text messages fundraising effectively. The candidate gave clear instructions in his widely seen keynote speech at CPAC in 2013 and was rewarded with nearly 16,000 opt-ins. Similarly, Democratic candidate Bernie urged followers attending his nationwide house party in 2015 to text the term “WORK” on their cellphone to a special number and earned nearly 50,000 text message opt-ins. The Sanders campaign used text message marketing to bolster crowds at local events. Alerting local supporters by text of an upcoming Sanders appearances in Los Angeles helped to draft an audience of 27,000. Because text messages are so immediate and likely to be read, political campaigns must be careful about their use. It is imperative to avoid annoying supporters. The constant begging for more campaign dollars at the expense of sharing behind-the-scenes stories or personal anecdotes grew annoying for me. Smart marketers restrict text message marketing to include only the most timely and very best offers and to the most receptive audiences. While emails can always be filtered or ignored, too many text messages can mean the loss of a supporter. 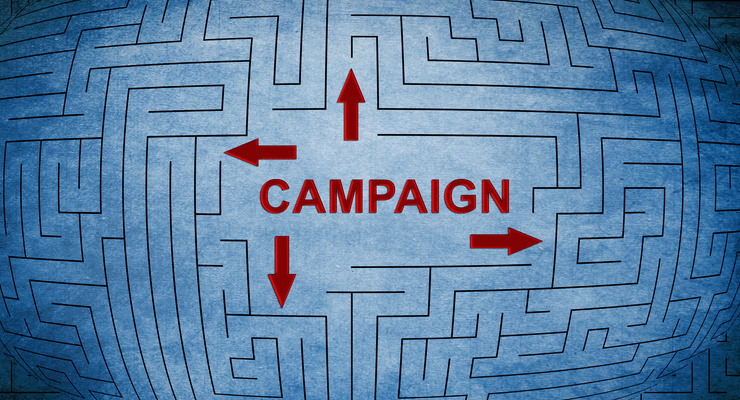 So what can the candidates teach us about retail marketing? 1) Use every opportunity to sign people up. 2) Be judicious about the messages you send. 3) Throw in a mix of messages; don’t fire the same bullet too often. I appreciated Hillary taking a break from her donation pleas to mention Flint, unlike her counterparts. 4) Timeliness is everything. Cruz and Trump were no-shows after the initial welcome text. 5) Location. It could be argued that the Republicans used ‘location’ more strategically, focusing on future primaries.